Airbus and Audi's Italdesign subsidiary are developing the Pop.Up.Next mobility concept. Now Japan is joining the push to launch flying cars. 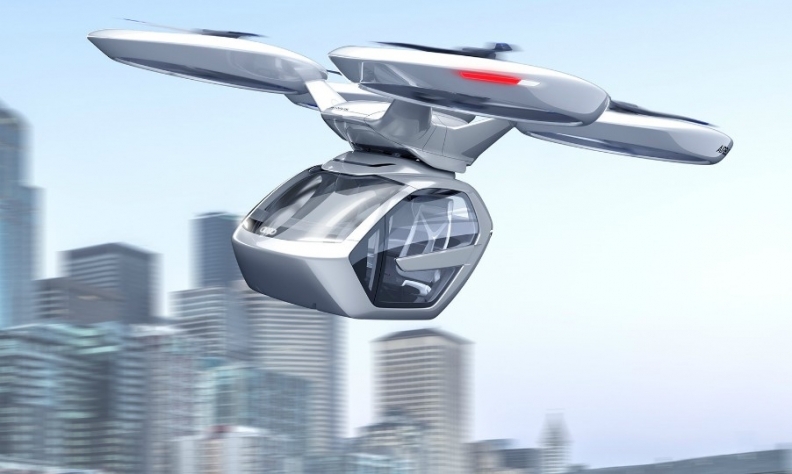 TOKYO -- Japan is making a push to develop flying cars, enlisting companies including Uber Technologies and Airbus in a government-led group to bring airborne vehicles to the country in the next decade, according to people familiar with the matter. The group will initially comprise about 20 companies, including Boeing, NEC, a Toyota-backed startup called Cartivator, ANA Holdings, Japan Airlines, and Yamato Holdings. Delegates will gather Aug. 29 for the first of their monthly meetings, the people said, asking not to be identified citing rules. The Ministry of Economy, Trade and Industry and the Transport Ministry plan to draft a road map this year, they said. Many have already had a head start in the race. Uber will invest 20 million euros ($23 million) over the next five years to develop flying car services in a new facility in Paris. It has set a goal of starting commercial operations of its air-taxi business by 2023. Kitty Hawk, the Mountain View, California-based startup founded and backed by Google’s Larry Page, in June offered a glimpse of an aircraft prototype: a single-person recreational vehicle. Other global companies envisioning this new form of transportation include Volkswagen Group's Audi, Daimler and Chinese carmaker Geely Automobile Holdings. Japanese automakers have not yet announced their plans to develop flying cars. Japan wants to take a lead in writing the rules for this nascent industry, as policy makers think the current aviation regulations are mostly set by Europe and the U.S., one of the people said.